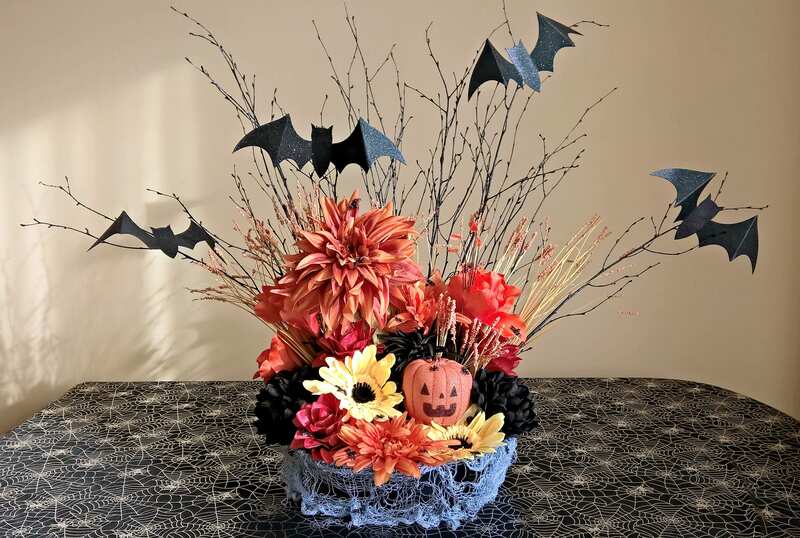 This large artificial flower arrangement would make a stunning centrepiece for any home or commercial premises Halloween display. It features bright orange, spooky black and yellow blooms with spiders and other creepy crawlies making their way across them. The base has 'spiders web' draped all the way along the bottom and at the top of the arrangement are 4 bats taking flight. Nestled in the middle of the display is a creepy jack o' lantern. Dimensions approx. 70cm h X 100cm w.